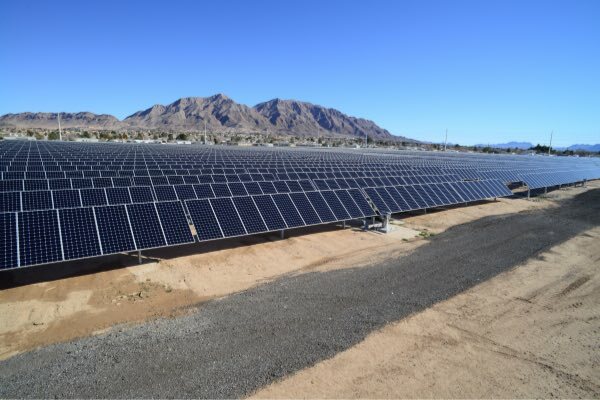 Our sister site PV Tech reported mid-2017 that the utility exceeded Nevada's state mandated target of 20% renewable energy in its generation mix during 2016 for the seventh year in a row. As of last March, NV had 8,726MW of owned and contracted generation capacity, of which 1,708MW is classified as "renewable and non-carbon generation capacity". NV yesterday issued the RfP for solar, wind, biomass, geothermal and biogas resources to add up to 330MW of new renewable energy projects. For the first time ever in one of its solicitations, NV also said that it will "consider adding supplemental battery energy storage systems that are integrated with the proposed renewable energy resource". Proposals will be assessed for the value they provide to NV's customers and in benefits conferred to the state of Nevada, as well as other factors. "We expect these new projects to provide some of the lowest-cost renewable energy available in the market, which will directly benefit our customers," NV Energy president and CEO, Paul Caudill said. "In fact, adding these new renewable projects serves to diversify the portfolio we use to provide power across the state and protects against the risk of increases in the price of natural gas used to generate electricity," Caudill said, adding that while furthering the state's desire for clean energy was of vital importance, ensuring customers' rates do not rise as renewable energy projects were added was just as important to the company. Caudill pointed out that NV Energy's renewable energy production had more than trebled since 2009, while electricity prices are actually 15% lower now than they were before this wave of project building began. NV Energy has been effectively a monopoly in the state until November 2016 when Nevada's voters elected to end this status and open the market up to deregulation, a process which still requires top-level approval during this year and will not be implemented until 2023. The utility changed hands in 2013 when it was bought up by a division of billionaire investor Warren Buffet's Berkshire Hathaway. The utility is hosting the registration form for interested parties on its website, with would-be project developers given until 2 February to put their bids forward. Bids will then need to be approved by the state's Public Utilities' Commission (PUC) for projects to go online in 2020 or 2021. NV Energy has a self-set goal of doubling its renewable energy capacity by 2023, making it very likely more developments will be forthcoming.